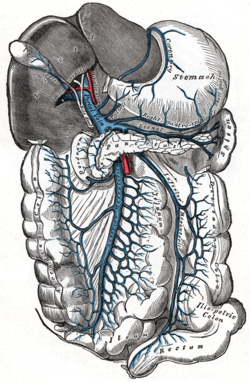 The portal vein and its tributaries. It is formed by the superior mesenteric vein and splenic vein. Leinal vein is an old term for splenic vein. หน้านี้แก้ไขล่าสุดเมื่อวันที่ 22 มีนาคม 2556 เวลา 16:28 น.